Carl Beanie, the public address announcer for the Red Sox, recently passed away after a car accident in Boston. According to the Boston Globe, the announcer called out some excellent Sox plays through two World Series championships. He was 59-years-old. Our Boston injury attorneys understand that the announcer’s vehicle reportedly ran off the road. He was taken to Harrington Hospital in Southbridge where he was later pronounced dead. There’s no denying he will be missed. Beanie was a long-time staple at the baseball park. 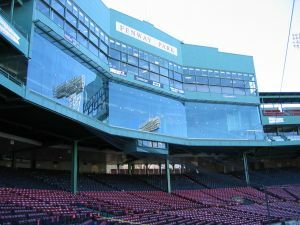 He’s announced for a number of broadcasts, including the Associated Press, and started his career at Fenway back in 2002. He announced the World Series game when the Red Sox took home the championship to end their 86-year title drought. Nearly everyone is Boston knows his familiar voice. He also announced wedding ceremonies, popular commercials and a number of ceremonies. A Boston magazine interview back in 2008 revealed that grooms would tell him that they were more excited to meet him than to marry their bride. “This is where I should be,” said Beanie. He loved his baseball, he loved the Red Sox and he loved Boston. Roadways in Boston can be dangerous. As a matter of fact in Boston there were nearly 20 fatal car crashes in 2009. Many of these accidents happened under completely preventable conditions, such as impaired driving, distracted driving, speedy driving and other forms of dangerous driving conditions. With a little bit more awareness behind the wheel, we can all do our party to help to reduce the risks of these accidents on our roadways. To help keep our roads safe for everyone, it’s important to keep an eye on health conditions. In many cases, drivers’ health conditions and the medications that they’re prescribed to can have a seriously risky effect on their abilities to navigate our roadway safety. Drivers are urged to talk with a doctor about driving after being prescribed to any medication. The truth of the matter is that driving is tough and is a complex skill. Our ability to drive can be drastically changed if our mental, physical and emotional condition. If you, a friend or someone in your family has been injured in a car accident in Boston or elsewhere in the state, contact Boston Injury Lawyer Jeffrey S. Glassman. Our law firm offers free and confidential appointments to discuss the cases of accident victims. Call 877-617-5333 today!